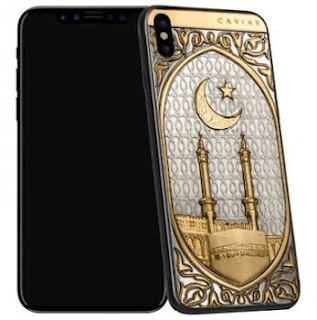 When it comes to customizing and redesigning unique phone's from official ones and tagging high prize on them , Caviar a popular company know for that comes among top's list . And as that be they have done the same now on Apple's latest flagship the iPhone X , they just customized the iPhone x with a golden coat of arm of the Russian Empire and over 300 engraved precious stones . Outrageous isn't it ? The back of the phone was encrusted with a 344 diamond of different sizes and a single line of 14 large rubies as well as a golden plague of two-headed eagles. This amount can be used to erect a moderate building in my locality , i would say this phone is meant for the billionaire.